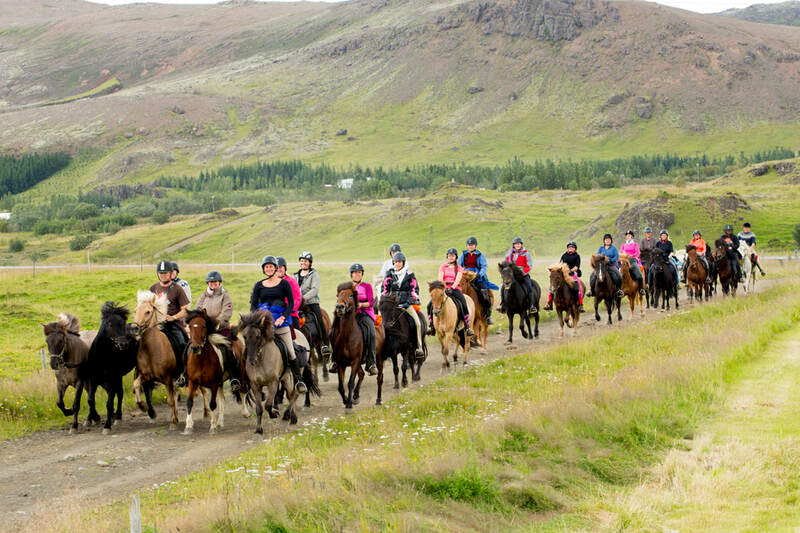 This is an ideal tour for experienced riders wishing to enjoy a day on horseback in varied Icelandic landscape. We cross the river Varmá and ride along a narrow path through an ancient lava field created by the volcano Hengill. 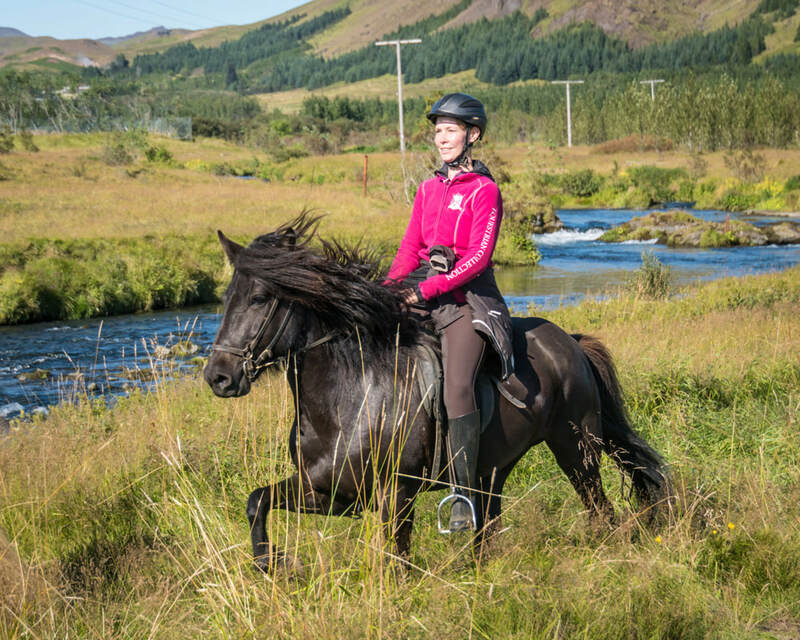 We continue on good trails, cross a mountain ridge and ride towards the magnificent geothermal valley Reykjadalur. The horses then take us up into the valley with great views of colorful hills, the beautiful waterfall Djúpagilsfoss and hot springs. ​We stop for a lunch break and have the opportunity to enjoy a relaxing bath in a warm stream before we follow the mountain trail down the valley through scenic landscape. On our way we enjoy a spectacular panorama over the southern lowlands, mountains and the sea all the way to Westman Islands, weather permitting. 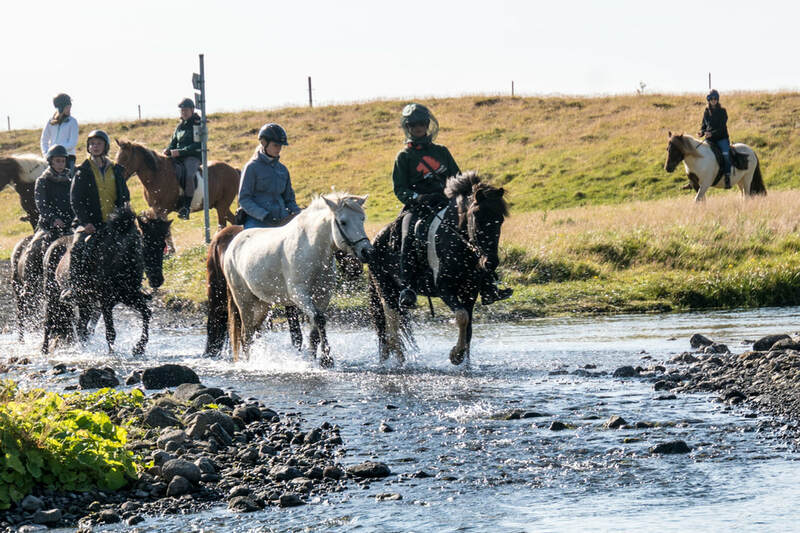 We then pass by the stable area of Hveragerði, riding on nice trails that are ideal for a brisk tölt, through a small river and alongside colorful mountain slopes with many hot springs above the village Hveragerði. The trail takes us through a forest and along the slopes of Reykjafjall Mountain back to the farm, where coffee and home baked cake are waiting for us. 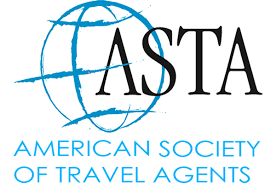 ​Please note that the age limit for this tour is 12 years old. 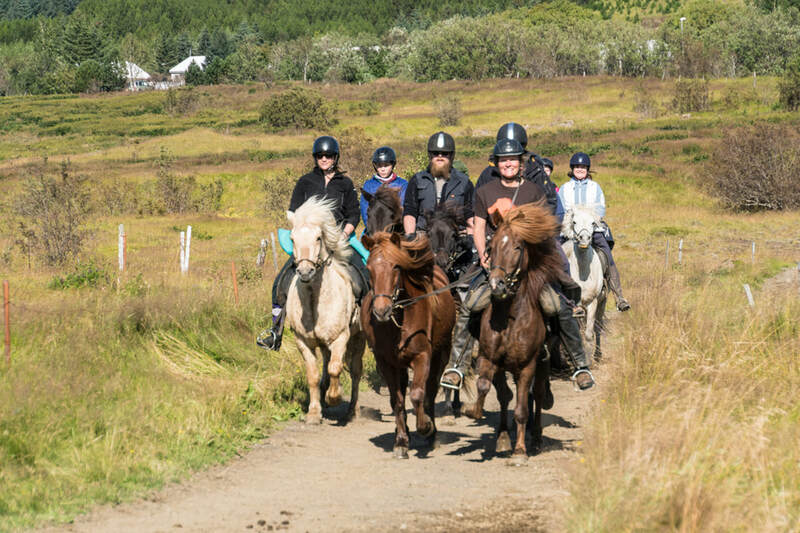 This tour is for experienced riders who ride regularly and are capable of controlling a horse in all gaits in different terrain.